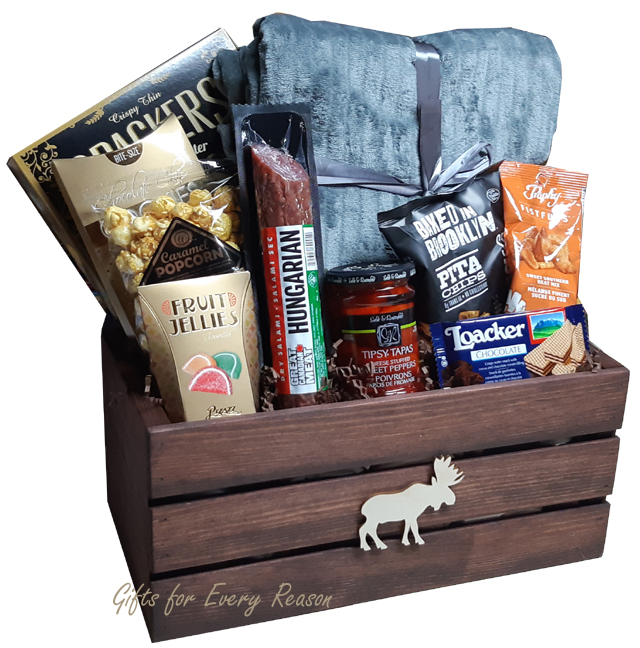 An elegant basket designed for your elite clients filled with quality products they want to share with family and friends featuring our very own hand made wooden crate. Made from quality pine not plywood, each crate is hand sanded, stained and varnished to create a smooth elegant finish for your recipient. And a soft cozy throw blanket 50"x60"
Our CEO John loved it. He said it really brightened his day and he loved the pepperoni sticks. Thank you for such a timely gift. Our company will use your services again.